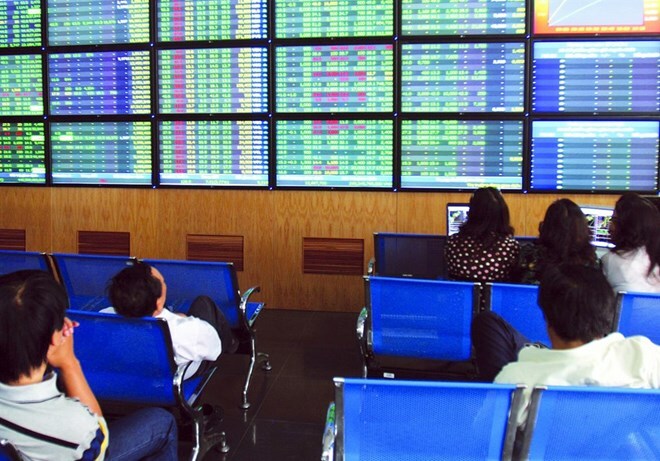 Hanoi (VNA) – Shares dropped on both Vietnamese markets on the first trading day of the week, following the uneasy global market climate. The benchmark VN-Index on the Ho Chi Minh Stock Exchange (HoSE) edged down 18.64 points to close at 970.07 points on March 25. A total of 245.7 million shares were traded on the day at a total value of over 5 trillion VND (215.89 million USD). There were 78 advancers and 236 decliners. Meanwhile, the HNX-Index on the Hanoi Stock Exchange (HNX) fell 1.68 points to 106.41 points. The northern bourse saw the transaction of over 47.8 million shares worth 584.7 billion VND (25.24 million USD). Red margins spread across the board, with no shares in the VN30 group ending in green. The worst performers included VRE (down 4.7 percent), VIC (2.9 percent), VHM (2.3 percent), and REE (3.7 percent), among others. Oil and gas stocks also had a bad trading day as key stocks like GAS, BSR, OIL, POW, PVB, and PVD experienced considerable decreases. Banking stocks were dipped in red, with VPB sliding 3.8 percent, MBB 3.3 percent, SHB 3.9 percent, STB 2.4 percent, and VCB and VIB both down 2.1 percent. Securities shares were not in a better situation as significant codes fell in tandem with the market, including SSI (2.5 percent), SHS (3.5 percent), VCI (5.3 percent), MBS (4.2 percent), and HCM (3.9 percent). However, the market received strong support from foreign investors net buying. Foreign players spent 195.89 billion VND (8.45 million USD) net buying over 8 million units on the HoSE, as well as over 1.9 million shares at 18.93 billion VND (817,300 USD) on the HNX. Asian stocks tapered off at the beginning of the week due to investors’ worries about US economic recession and the darkening global economy outlook. Meanwhile, the benchmark Nikkei on the Tokyo Stock Exchange dropped more than 682 points to 20,945 points due to worries of bad economic growth.